This week members of the Class of 2017 returned to campus to talk with upper school students about what life is like after college, and how Founders prepared them for the academic rigors of being an undergraduate. The best thing about the senior thesis is that you will feel invincible when it’s finished. Some alums actually miss wearing their school uniforms every day. 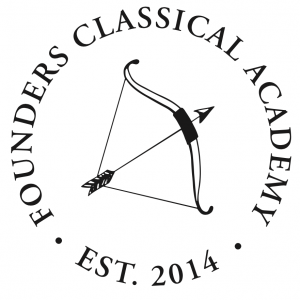 Classes in college are very similar to classes at Founders. But you have so much more time during the day! Choose a college where you can get to know the professors, and don’t be afraid to visit them during office hours. There are many academic scholarships out there; you just have to look! It’s easy to make friends during your first semester of college because everyone else is looking for friends too. Join clubs and go to on campus events to meet new people. Getting a part-time job on campus can give you some extra spending money and a way to get to know the campus. Do your school shopping before you get to campus. If you don’t have a car, you might only be able to shop for things like toothpaste at the campus bookstore! Cherish your high school friends and your teachers. The experience of going through Founders with your friends is something to remember.